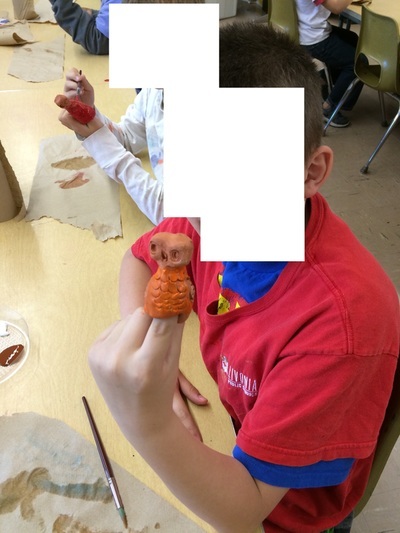 For the third grade clay project, we made pinch pot owls. Students did step by step creation of the body and head of the owl during one class. 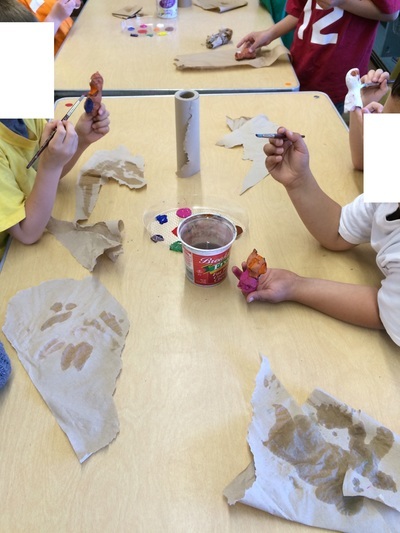 The next class, using pictures of real owls, they used objects to add the face, wings and textures onto their owl. 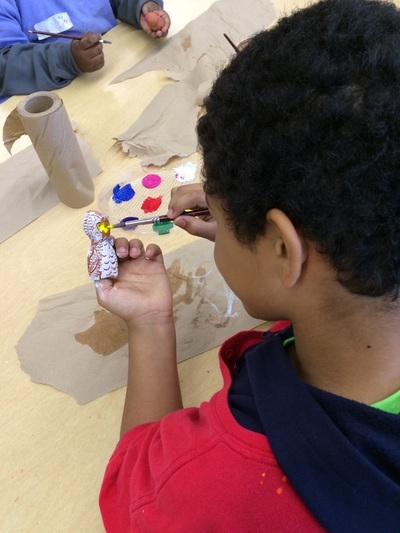 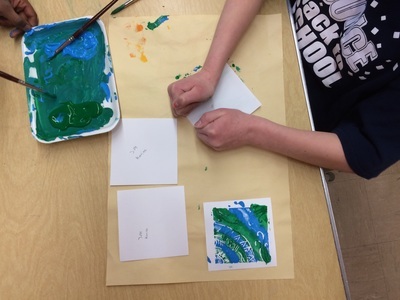 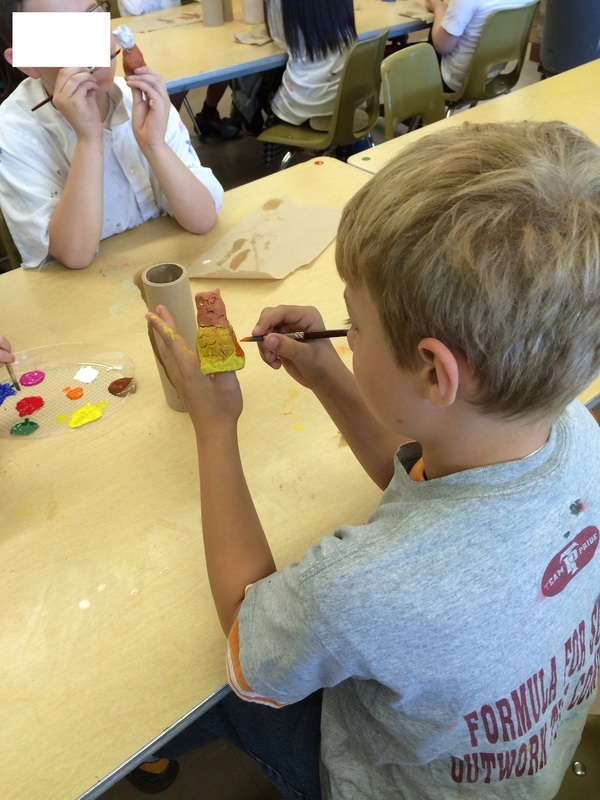 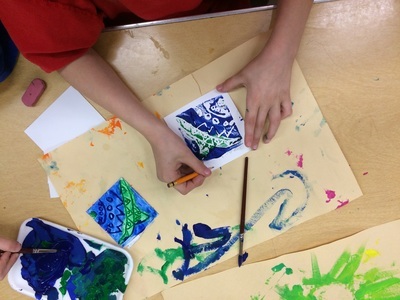 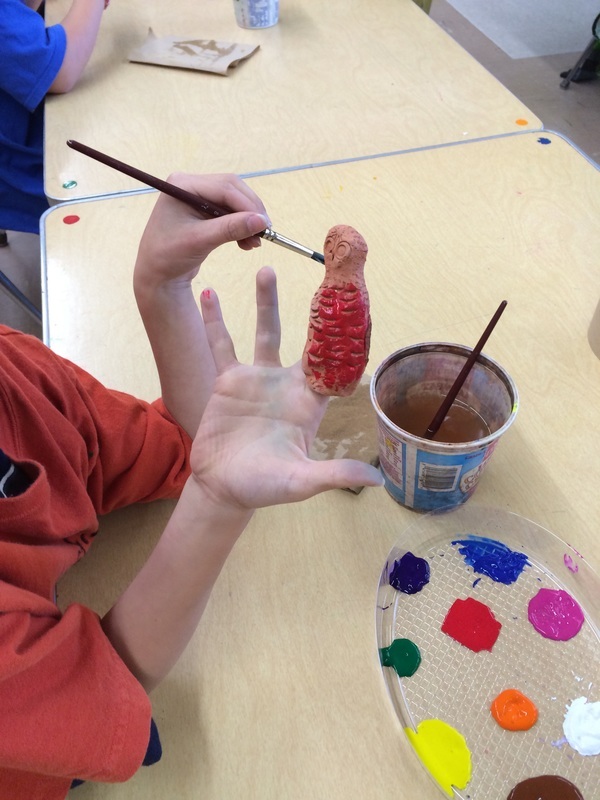 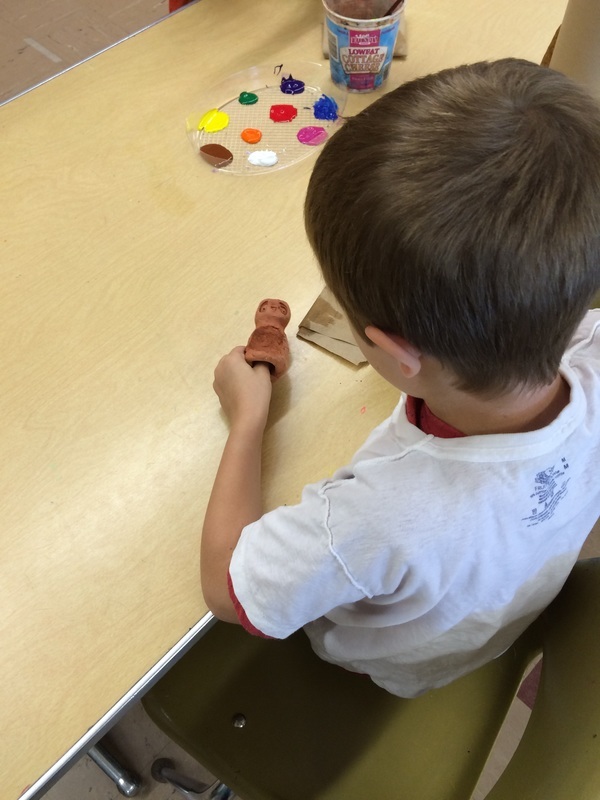 After the owls were dry and fired in the kiln, we used tempera paints to add color to our owls. 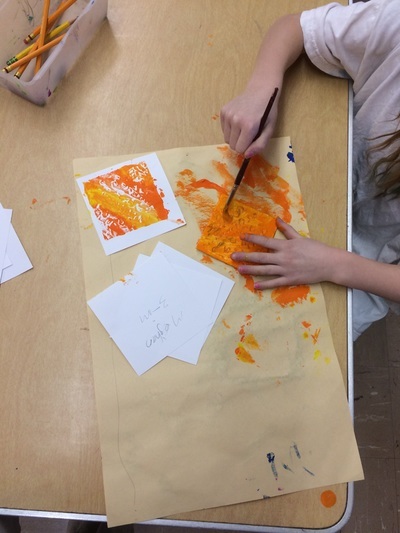 I showed students how to dry brush and antique using tempera paint to create depth in their textures and color. 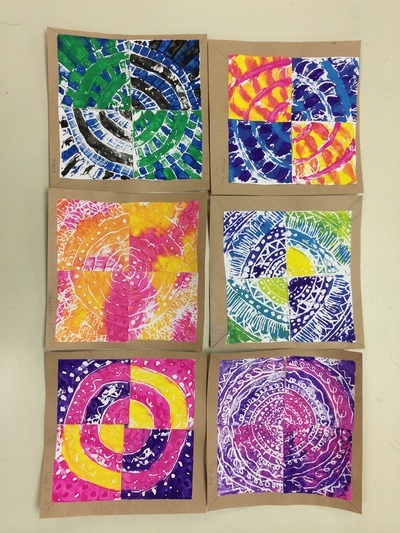 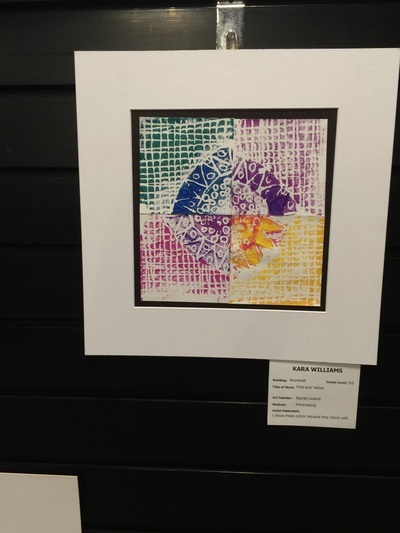 Once all students had at least 8 dry prints, we began putting our mandalas together. 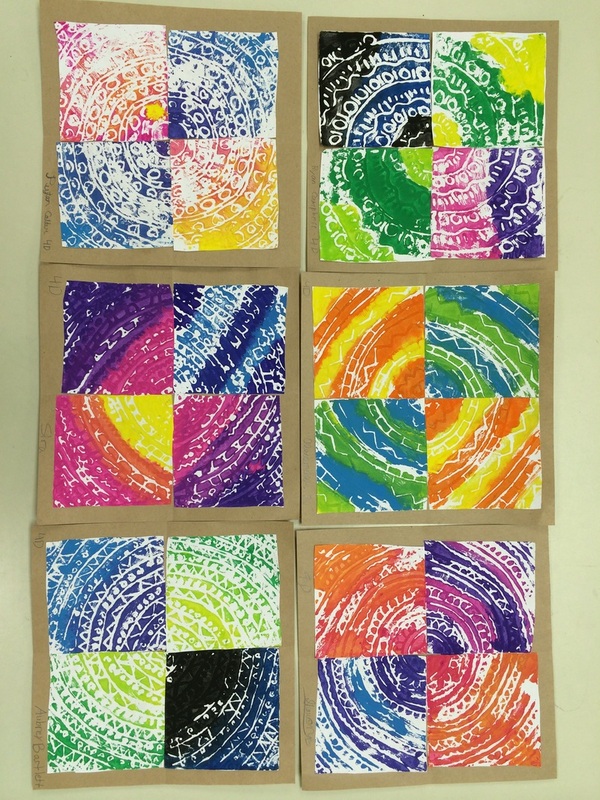 They received all their prints back and picked their best 4. 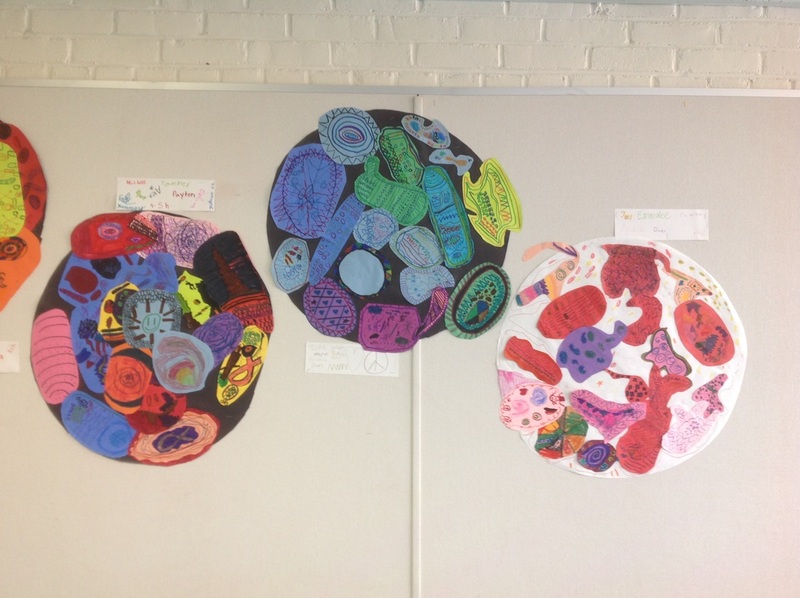 After cutting out their squares, students placed their pieces together to make a full radial mandala. 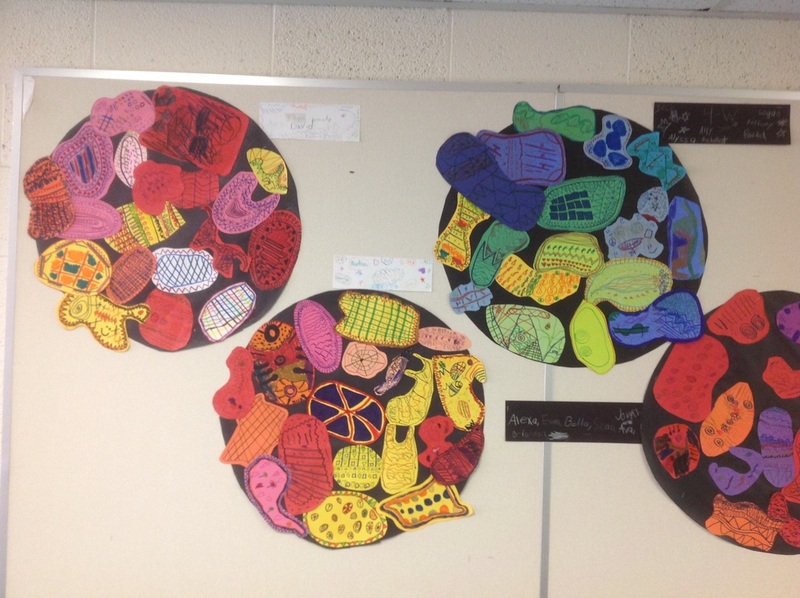 Students started this lesson by watching a video or Tibetian monks creating a mandala out of colored sand. We talked about what they were doing and why during the video. 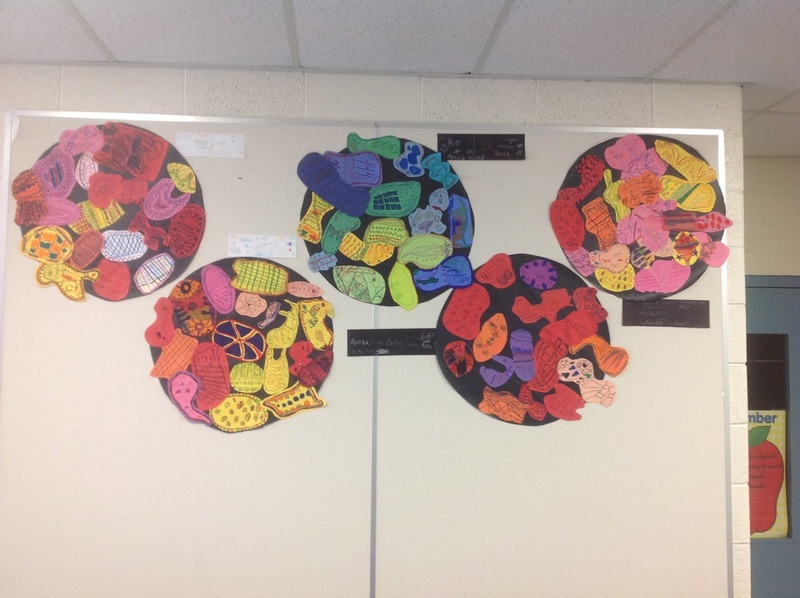 After the video we talked about radial symmetry and how it was different from right/left symmetry. 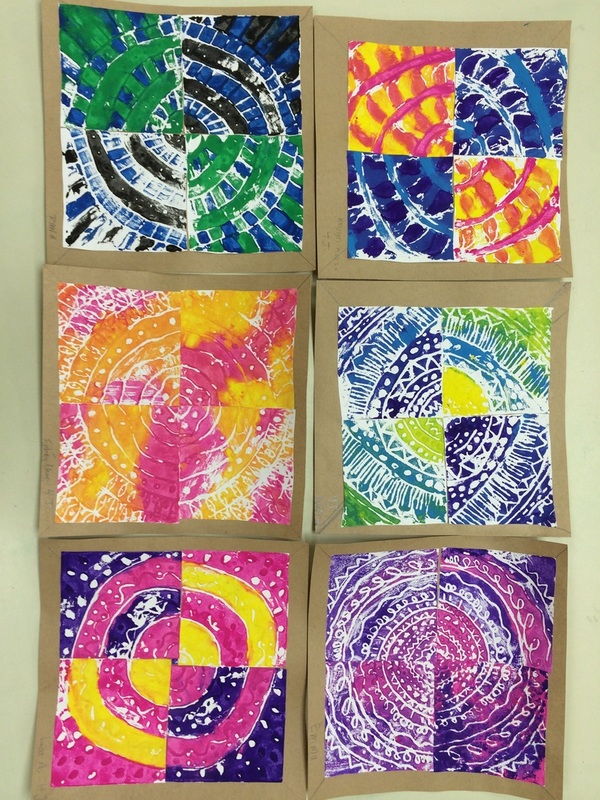 Students then colored a mandala sheet to show radial symmetry with color. Students discussed symmetry and where it can be seen in the world. We then talked about how to create a symmetrical face using reflection and crayon pressure transfer. 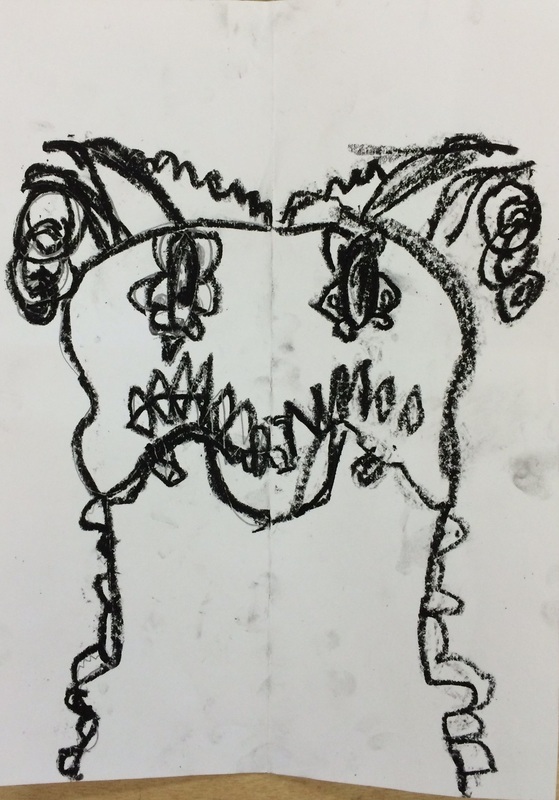 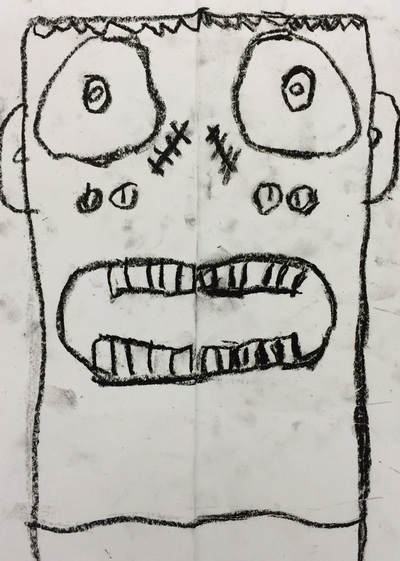 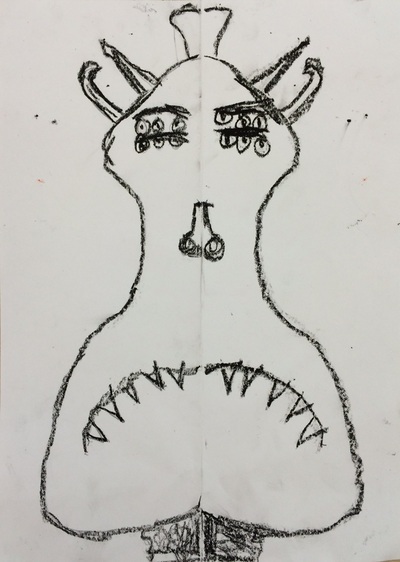 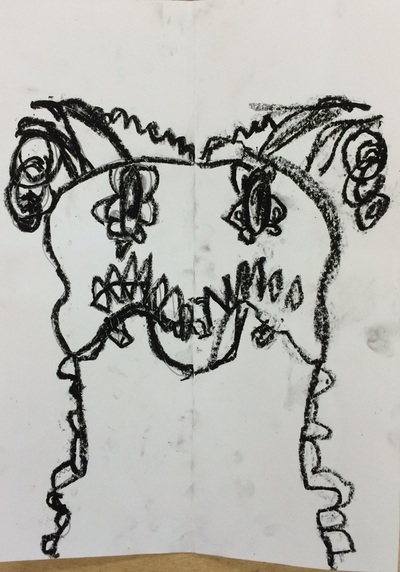 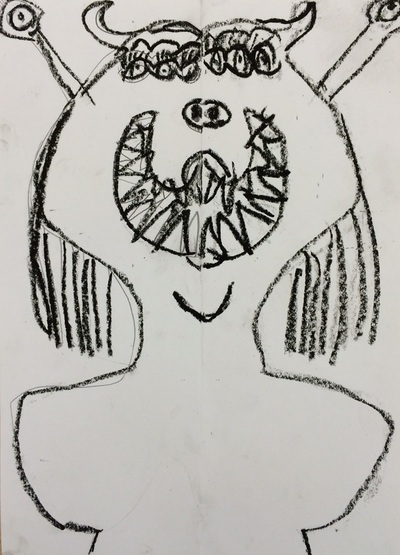 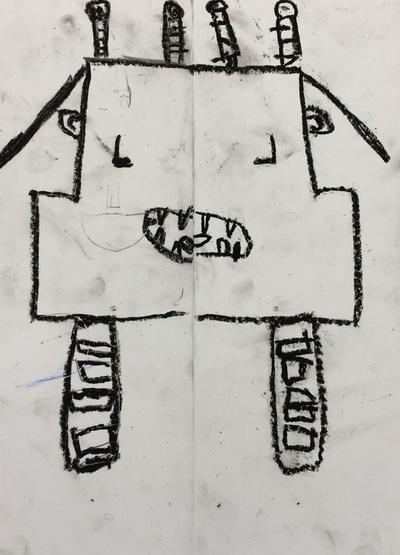 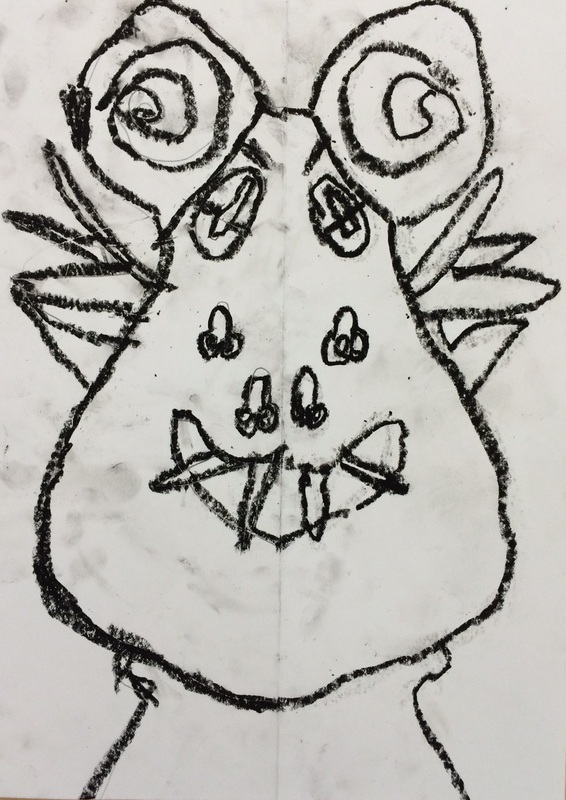 Third graders create half a face on a folded page, the fold being the line of symmetry, using pencil and then covering with dark black crayon. 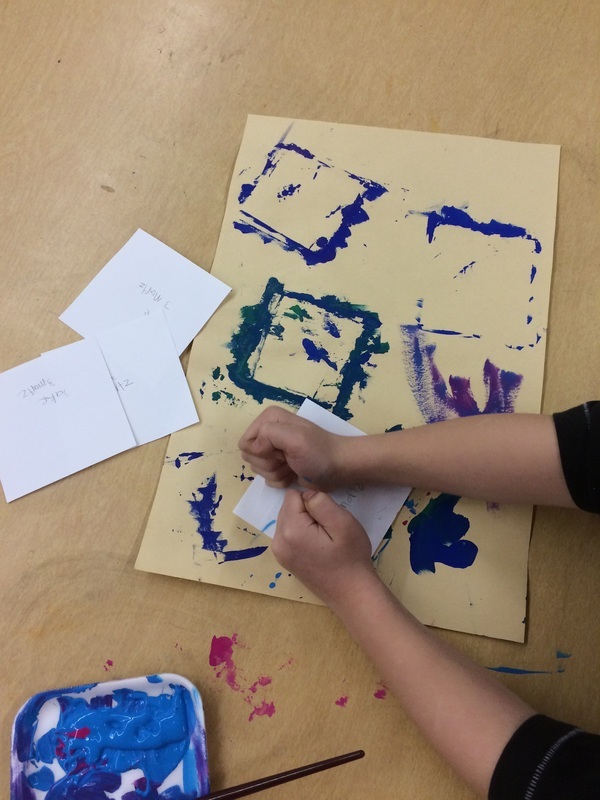 Using a spoon, students applied pressure to one side of the paper while folded and the image was transferred to the other side! 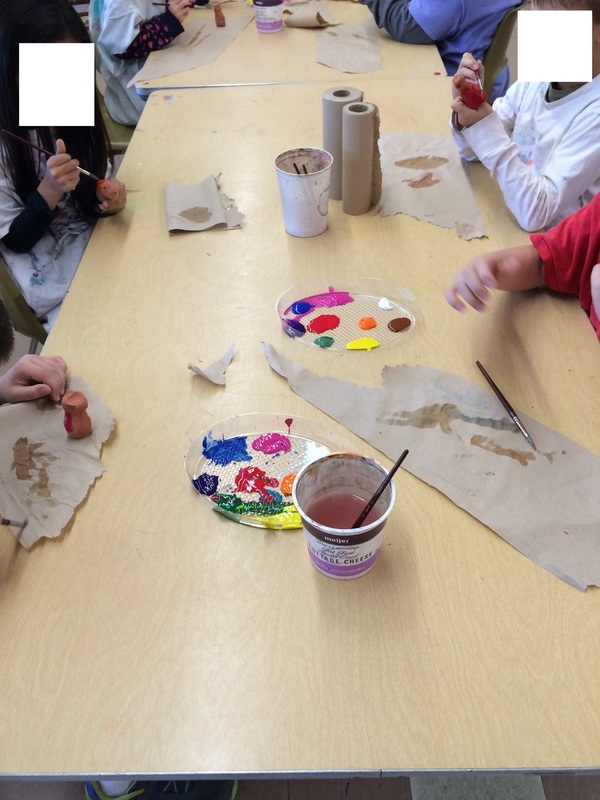 Next we will be adding color to our faces and to the background, still focusing on symmetry. 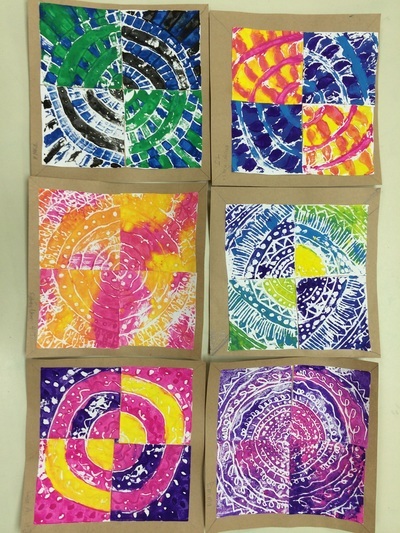 These order forms will come home before Thanksgiving. 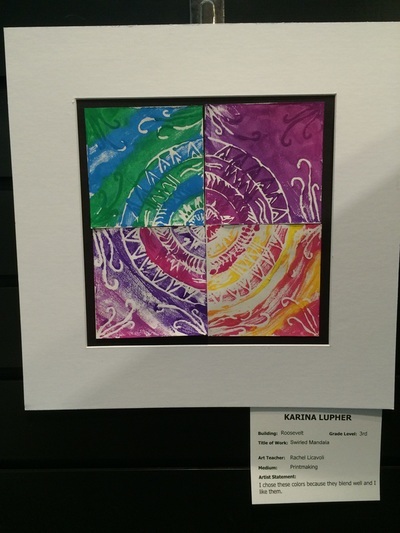 This would be a great opportunity to order personalized gifts for family and friends in time for the holidays! 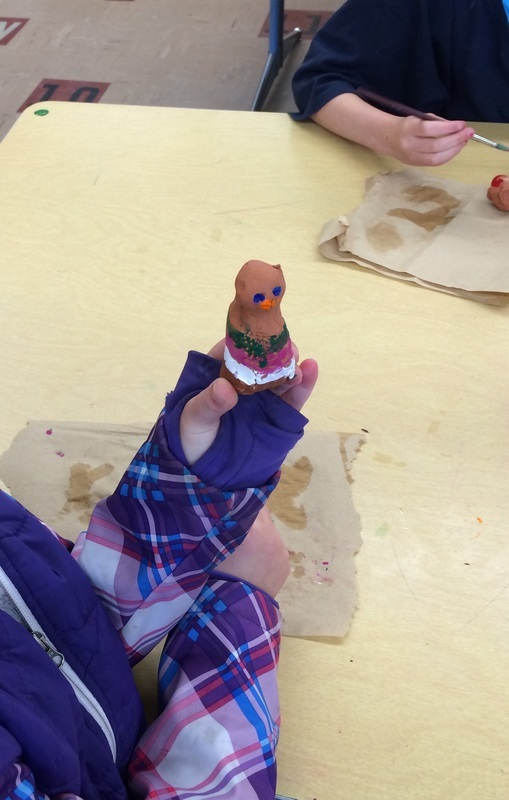 The order forms will be due by the end of November so that orders can be shipped to Roosevelt before our holiday break! Orders can also be made online for your convenience. 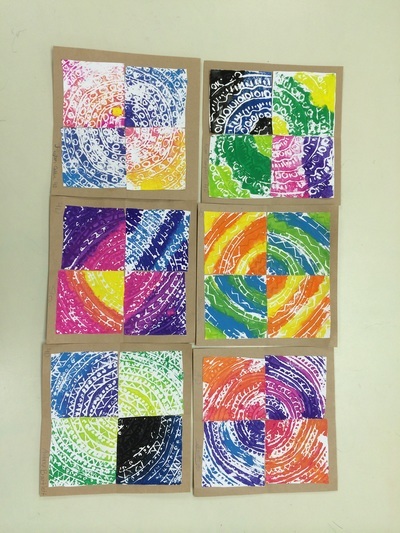 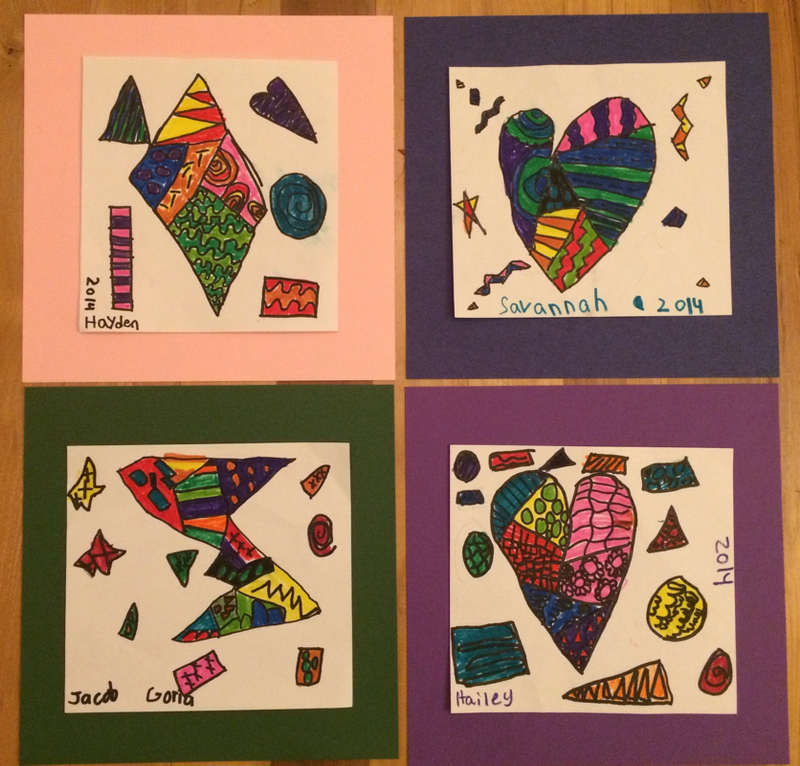 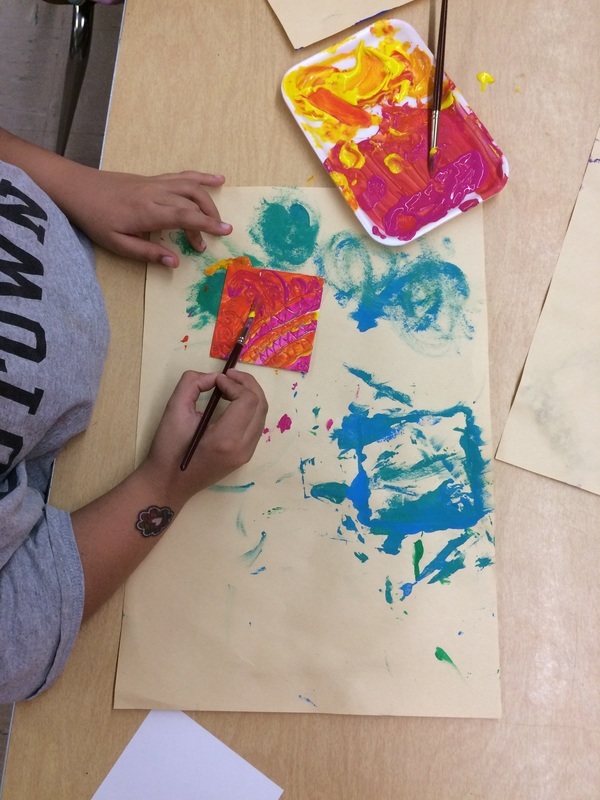 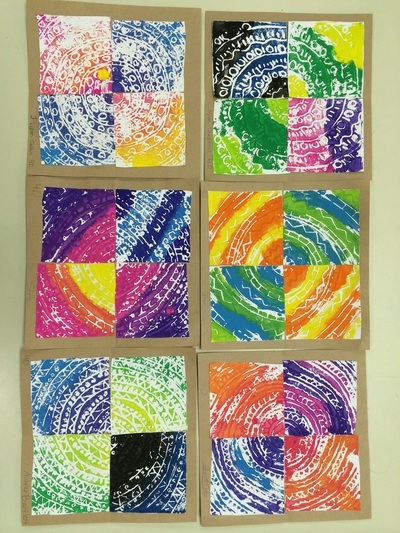 Third Graders created Romero Britto inspired designs for their special fundraiser project. 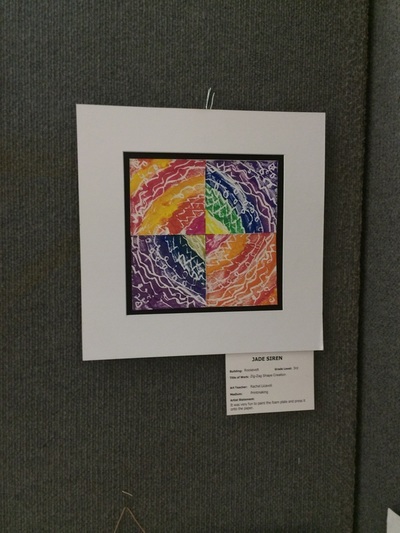 They used basic geometric shapes along with simple designs and lots of color to create unique and engaging compositions! 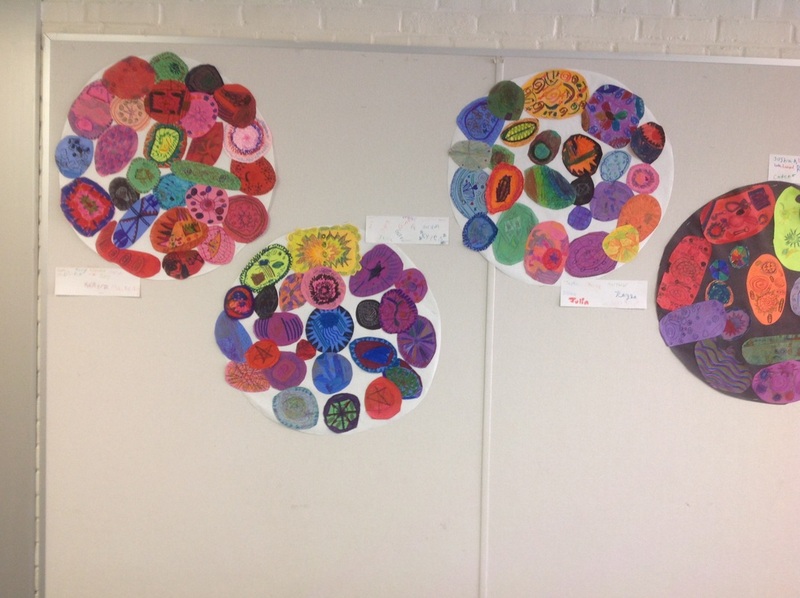 Students worked in large groups to create unified compositions on circles to mirror the shape of Lea Anderson's work. 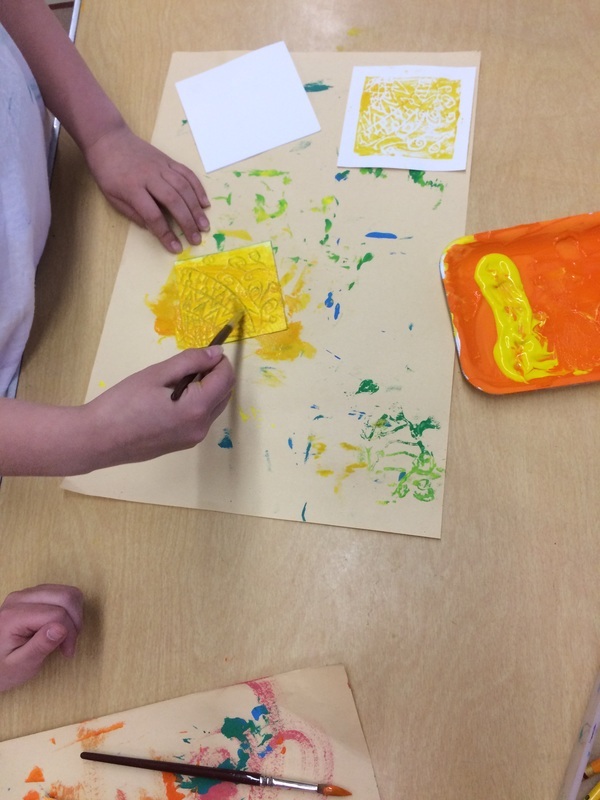 We talked about how to show unity with so much variety in design. 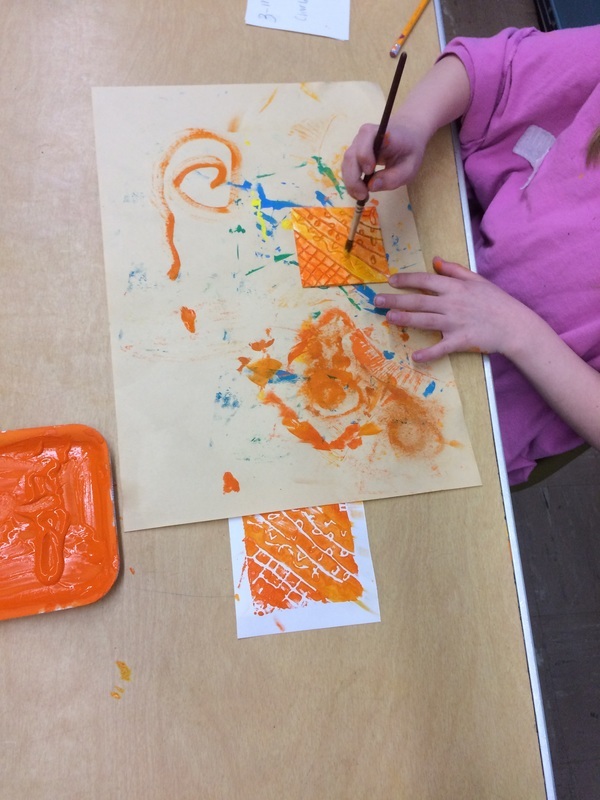 Each group focused on a color family (Analogous colors) for their shapes. 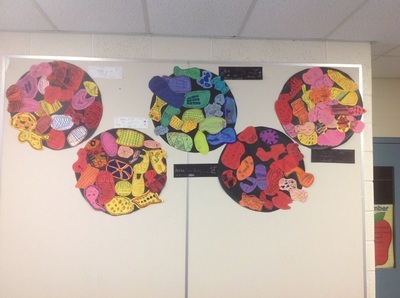 Students had to work together to trade with other groups to get all the right color and then compose their project. 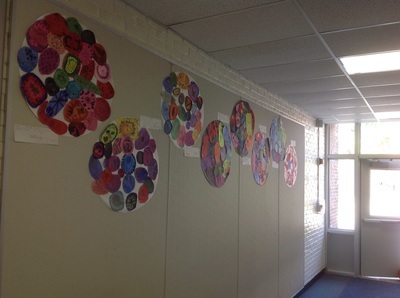 These can be seen in the hallway near the lunch room at Roosevelt if you want to see them in person!